I think that you are both correct - yes, the move from DE to disposable 'happened', (Bogeyman) and yes, it depends what you are looking for in a shave - (Hugo). For what its worth, I think that disposables (and canned shaving cream) 'caught on' because it was / is, a very quick, hassle free way of shaving...I can see how this was seen as progress at the time, and that DE was considered 'old hat'. Which meant of course, that our Dad's (generally) shaved using disposables , cartridges or electric - and then, so did we - as we had seen / knew no different. By 'we' I am speaking about guys born (as I was) in the mid / late 60's. I have been DE shaving for the last 3-4 years after discovering DE online....However, In the last 6 months, I have shaved using 2 blade disposables, (ran out of DE blades whilst on holiday) I have shaved using an old Phillips electric, and I have used (98%of the time) a DE razor. I agree that the best place to find a mint tech is in a shaving kit. I found one in a bakelite case complete with travel kit for under a tenner (£10). Little bit of grime deep in the knurling was removed using Barkeepers Friend cream. 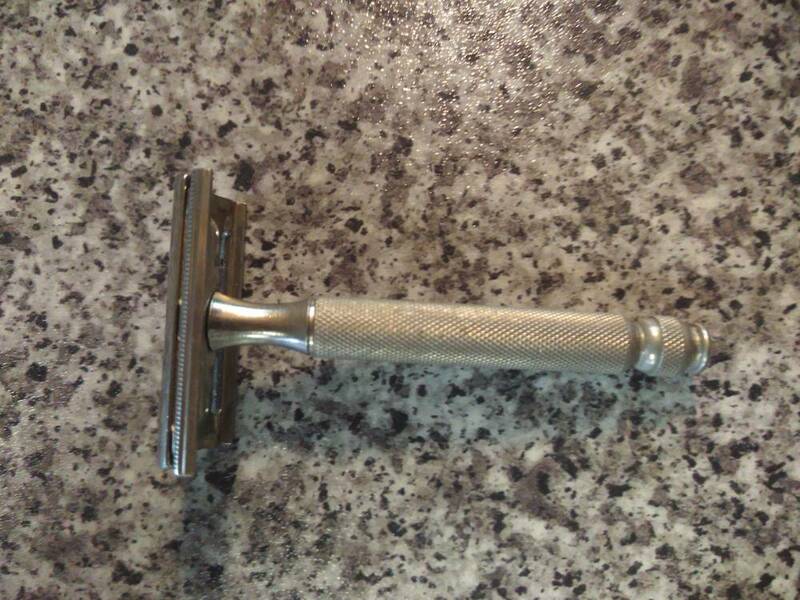 Currently this ball-end tech is my favourite razor. What's it matter? What if your aunt had testicles, would she be your uncle? It happened, so it is (with Gillette and not your aunt). 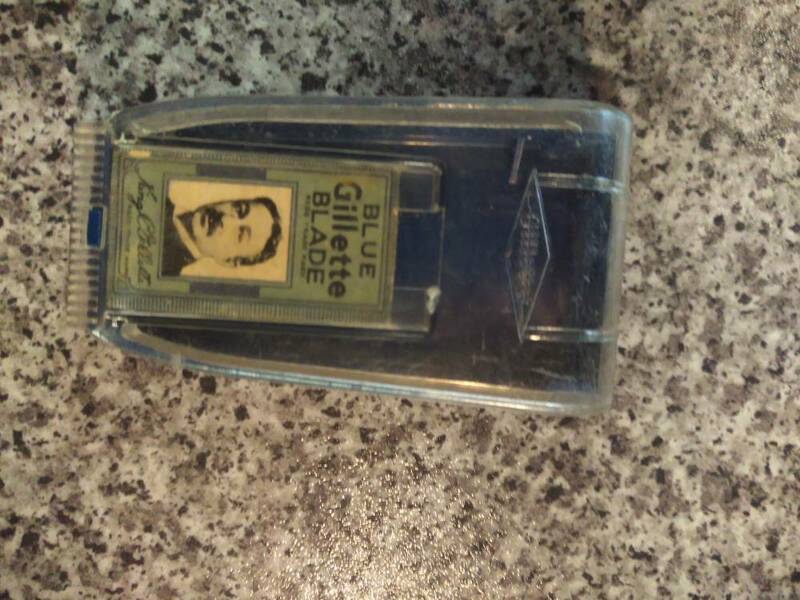 I have just received a ball end Gillette Tech stamped 'made in England'. It came in a plastic case. Does anyone know how to find out its age. First attempt to upload a picture, don't judge me if it doesn't work. Wow. Thanks a lot for that. Looks like I have a 1956 Tech Set No 24 with a B1 blade. 2nd used purchase and I might just be hooked. I have two English "ball end" post-war Tech razors of which one I use for 95%+ of my shaving. I can think of no better "daily driver" DE razor extant. It has weight, blade rigidity & perfect balance. Don't waste your money on hoidy toidy, artsy fartsy, "boutique" artisan razors made of stainless steel that cost a small fortune and really shave no better despite Beau Brummel wannabes claiming otherwise. If you "listen" to the Tech it will show you how to shave properly with correct technique and you will therefore be able to spend that extra dough on soaps, blades & brushes. Respect, love & obey the Tech. It is the "way". Never met a Tech I didn’t like, my favourite's the English flat-bottom. Pre-war fat handle for me. I thought I'd done well at £10 lol. Looking forward to trying it out later. Four pre-war triangle slot Techs, all given to me at different times from different people. Mate, let me know if you want to release one of those. I have 3 oval slot ones and have wondered if the triangle ones shave any differently. I'm not ready to release any back into the wild just yet. And shipping would probably cost more than the razor is worth, I'm in the US. Keep an eye on the bay, there's always at least one or two on there. One is Canadian, some say they shave better, I can't tell the difference. And I have one of these little guys, not a bad shaver.